A great balance of sweet and savory. The apples add a slight crunch and sweetness to complement the sausage. 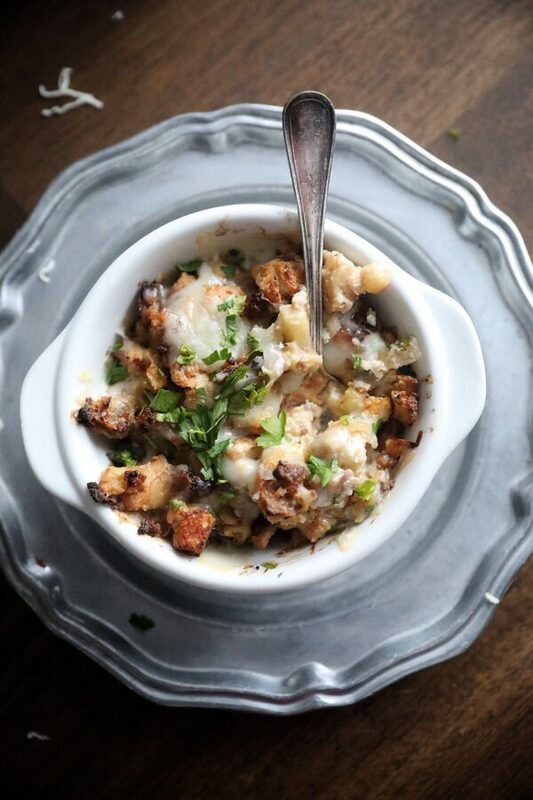 A little bit of a spin to your traditional stuffing. 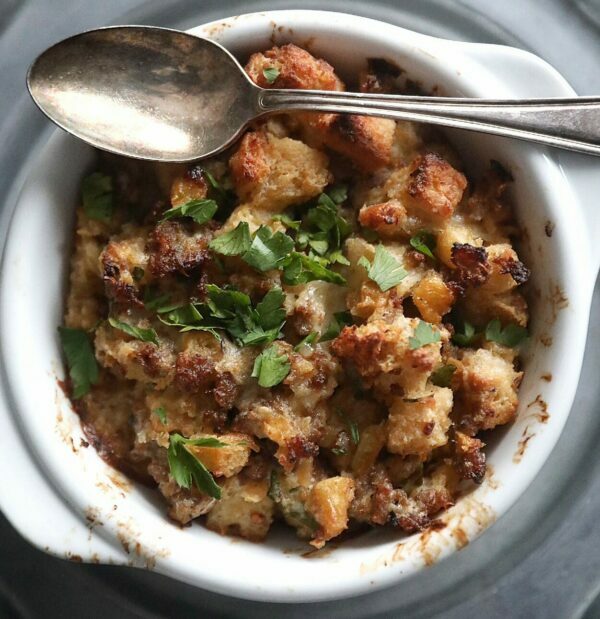 Growing up, it was a family tradition to have cornbread stuffing with celery and olives on Thanksgiving Day. Not that tradition is bad, but This is the stuffing I prefer. Cube the bread, dice the onion and apple. In a frying pan, brown the sausage. Pour the cooked sausage over the cubed bread, juices and all. Return the empty pan to the burner. 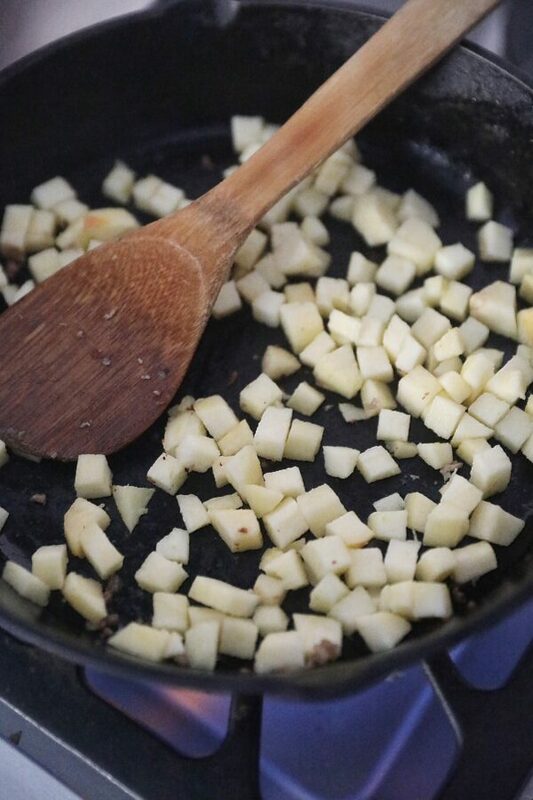 In the same pan you cooked the sausage, add the apples on high heat. As they begin to brown, turn off the heat and add the honey. Stirring frequently to prevent burning. 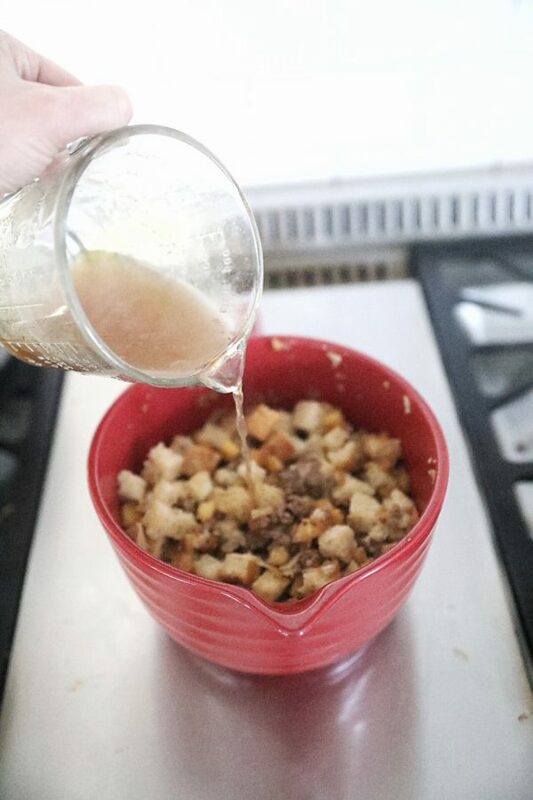 After a minute or two, pour the apples over the sausage and bread in the bowl. Return the pan to the burner. 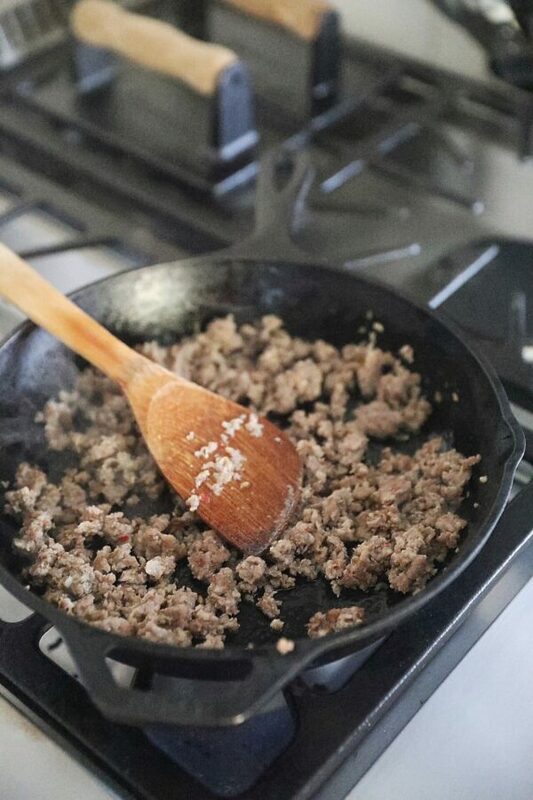 on medium heat, add a tablespoon butter to the pan. 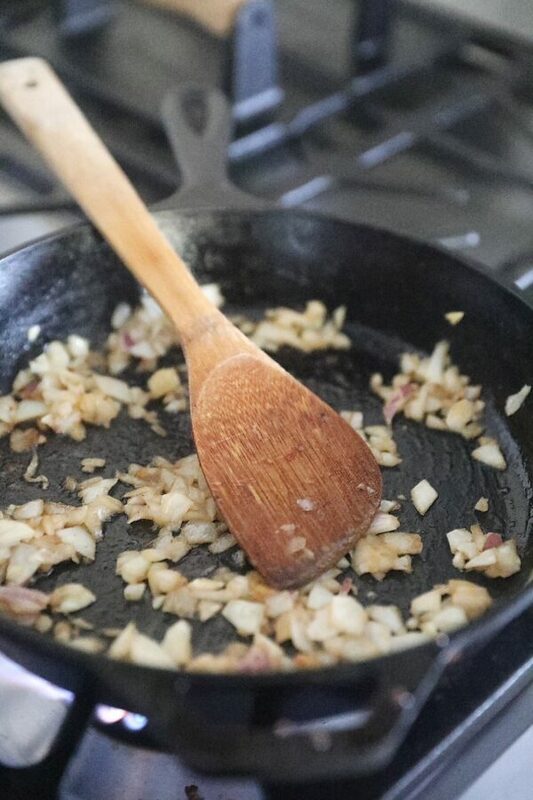 Once melted, add the onions and sauté until brown. Add the onions to the bread mixture and mix well. 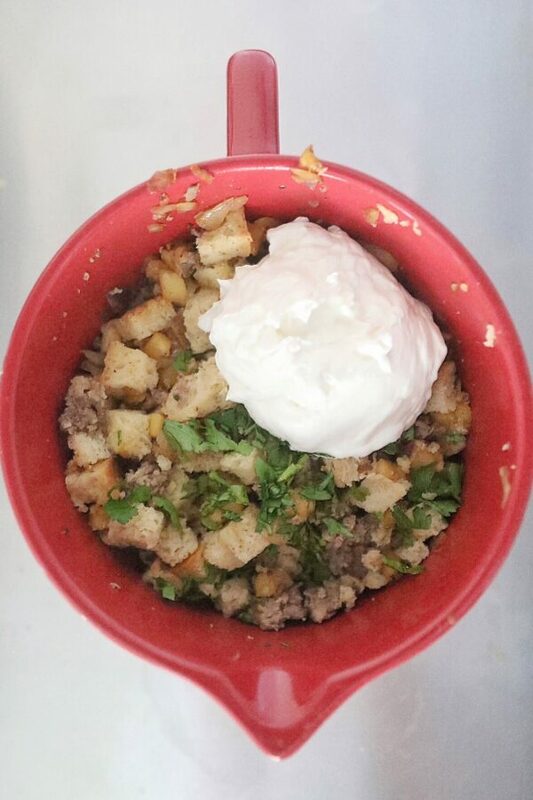 Add the sour cream, cheese and parsley to the bowl. 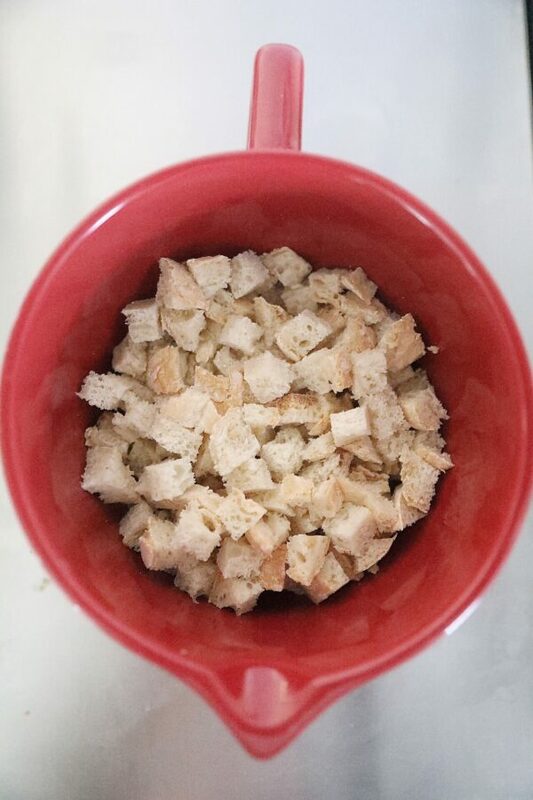 Mixing it into the bread. Pour the warm beef broth over the bread mixture and stir to combine. 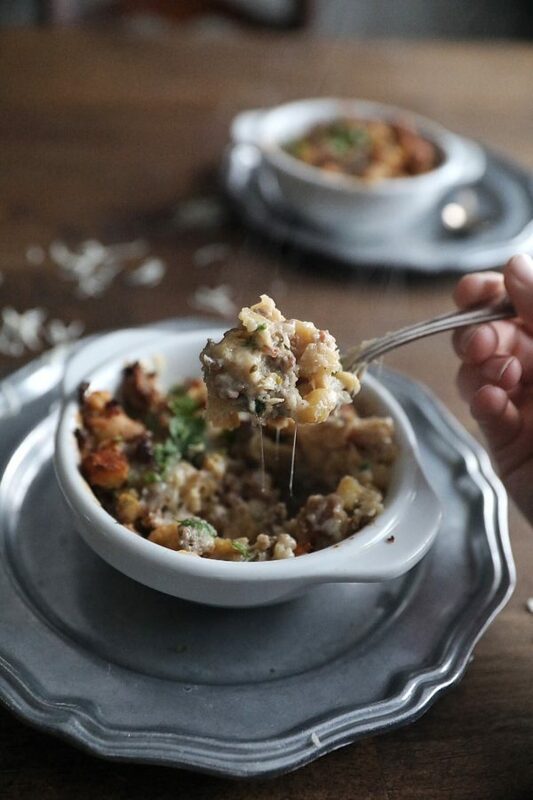 Either divide into individual bowls to bake or bake together in a casserole dish. Bake at 350 degrees for 30 minutes. 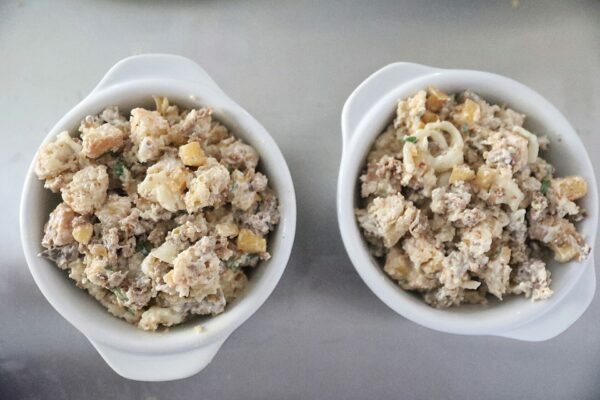 The Stuffing should be crispy on top and soft on the inside. Tastes amazing topped with cheese and additional fresh parsley.